Numerous clever tricks and a slew of political parties loyal to Russia’s government now ensure the “right” election result long before any votes are cast. And this means that the election count can be shown to be fair, and at the same time managed by individuals who are widely trusted and respected. 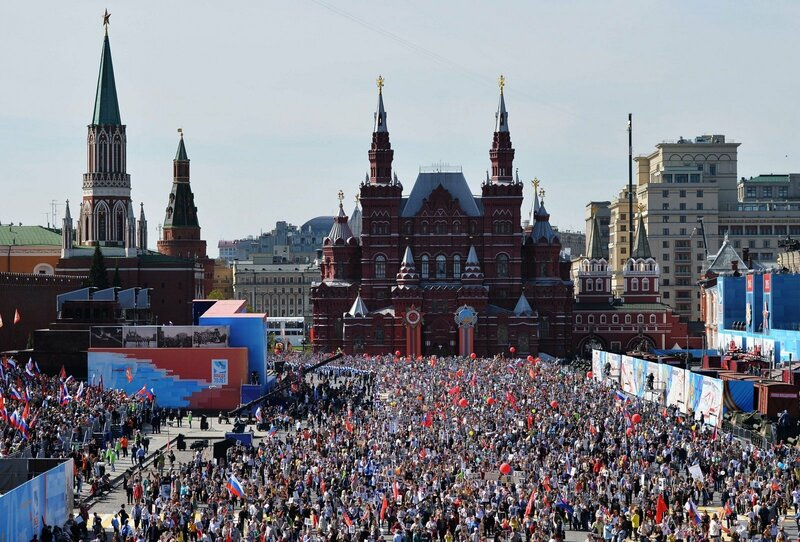 The Kremlin is changing its tactics on how to secure election victories in Russia. In the run-up to elections for Russia’s lower house of parliament, the State Duma, later this year, the Kremlin has overseen a complete shake-up of the Central Election Commission (CEC). The current CEC chair, Vladimir Churov, is notably missing: his name does not appear on the list of representatives from the Duma, the Federation Council, and the President’s office who sit on the commission on equal terms. In fact, nine of the fifteen members are new to the job. And, most importantly, the president has appointed Russia’s Commissioner for Human Rights, Ella Pamfilova, to the CEC. She’ll most likely become the new chair (why else would she choose to leave her current high-profile job?). Pamfilova’s appointment to replace Churov is a shrewd political move. The opposition has long called for Churov to resign. This was one of its loudest demands at the huge rallies held at Bolotnaya and Sakharov squares in 2011. Pamfilova is not some United Russia functionary or presidential administration official, but a widely-respected political figure. It’s a clear signal. By appointing her to the CEC, the Kremlin wants to demonstrate once again that Russia has competitive, transparent and, legitimate elections. After all, the Commissioner for Human Rights and former chair of the Council for Civil Society Institutions and Human Rights wouldn’t allow the falsification of Duma election results, would she? For the past few years, the CEC has been a one-man show. That man was Vladimir Churov. His dismissal, therefore, will be welcomed by those dissatisfied with how Russian elections were being conducted. Quite possibly, making Churov the scapegoat was part of the original plan, since he was the only commission member with a public profile. Churov has become a household name, synonymous, for the most part, with fraud and irregularities. Logic would suggest that his replacement would turn the CEC from a ballot-stuffing enterprise into one that follows strict rules and is entirely transparent. Pamfilova is the ideal candidate to do this: she works with the Kremlin but is also respected by the opposition. It would be relatively easy for her to monitor elections without making ethical compromises. Now the authorities can ensure the “right” election results long before the actual vote: parties are simply told not to nominate undesirable candidates. Those running in single-member constituencies can collect all the signatures they want, but local election commissions are free to reject them. There are virtually no disputes during regional election campaigns; any contentions are limited to the registration stage. Gubernatorial elections are a perfect example of the Kremlin’s openness and transparency. Filtering out undesirable candidates at the registration stage means they are left with the “right” list of candidates, and therefore there is no need to “correct” the results. It is getting more and more difficult for observers and journalists to get accredited at the polls. That adds to the ease with which elections can now be run and the lack of controversy that surrounds them. The most obvious conclusion is that the Kremlin has clamped down on everything and changed the rules to make “fair elections” possible and effectively guarantee their results. In this light, Pamfilova is necessary to maintain the sham. The departure of deputy CEC chairman Leonid Ivlev is also noteworthy. On the face of it, he couldn’t have been more different from Churov. The former official from the presidential administration was on top of every issue, worked with the regional authorities, and was considered a kind of “bad cop” to his bumbling boss. “This year, the agency expects heightened activity by the pseudo-monitors who live off foreign grants and carry out politically-motivated orders,” he said last summer. His hard-line approach does not pair with the Kremlin’s new vision of the CEC as a democratic and transparent organization. Changes at the CEC aren’t simply a way for the presidential administration to reassure us before the elections. They go much deeper than this. The CEC is shaping up to be a miniature replica of the Duma. The Commission will include members of parliament from different political parties, such as Nikolay Levichev (Just Russia), Vasily Likhachev (Communist Party), and Valery Galchenko and Nikolay Bulayev (United Russia). Even the former Rodina member-of-parliament-turned-political-analyst Alexander Klyukin is on the list. These people are all public figures who will argue and express their opinions. Discussion is welcomed (though naturally within certain limits). If parts of the electoral law are tightened up, any criticism Pamfilova might have will no doubt be rebuffed by members of United Russia, the Communists, and Klyukin. If the authorities go too far, the opposition will correct them. Mutual compromises will make the CEC look like a democratic, public institution. But no one will disagree on essential questions such as the rules for nominating and registering candidates. Models for controlled disagreements have already been tested by the Popular Front and the Duma. The former criticizes government officials, while the latter allows for minor disagreements as long as there is unity on major issues. This enhanced public profile of the CEC feels odd, since it is essentially a technical body entrusted with monitoring legality. However, the new face of the Commission fits well with the concept of “popular democracy” as envisaged by the First Deputy Chief of Staff of the presidential administration Vyacheslav Volodin. His reasoning goes something like this: Putin is president and Crimea is ours. Everything else can be debated, of course, bearing in mind that the Kremlin is listening. Debates within the CEC are to let off steam, relax political tensions, and quell the controversies that will inevitably result from refusing to register candidates and removing them from the ballot. This scheme will pay off as long as the government’s approval ratings remain at current levels. Appointing Ella Pamfilova to chair the CEC shows that the Kremlin is not considering any other options. The president’s team appears to be confident that the election results won’t require any amending.